Micrometers are furnished in protective cases. This is the Starrett No. 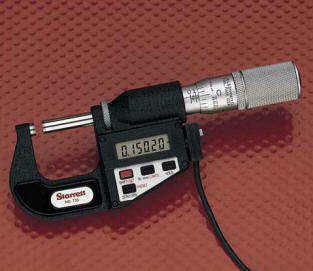 733 full function electronic outside micrometer with all the features and controls you need to measure, analyze and record the information you want. The anvil and spindle diameter is .250" (6.35 mm).